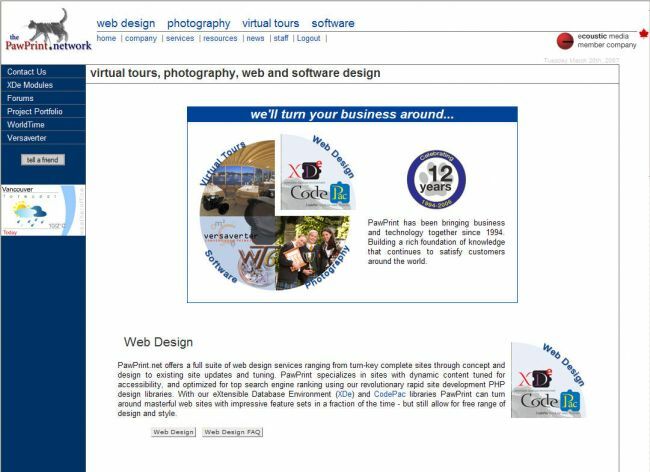 http://www.pawprint.net is my web, graphic, media, and software design firm and an update of the web design section was well past due. I hadn´t updated too much of the information there in almost 2 years! so I spent the day Sunday working through a major update. At least I now have all the web modules from the XDe posted, so people truly know what is available. Apart from being glued to the computer all weekend I spent a bit of time preparing for teaching the towing lecture at Monday night´s weekly Coast Guard Auxiliary training meeting. We had tried conducting mini-courses rather then having a weekly meeting, but reverted to a weekly training meeting instead after attendance dropped off a bit. Finally, Kellei and I actually booked our tickets to the International Maritime Rescue Conference in Sweden this June! So we´re definitely going - more on that later.